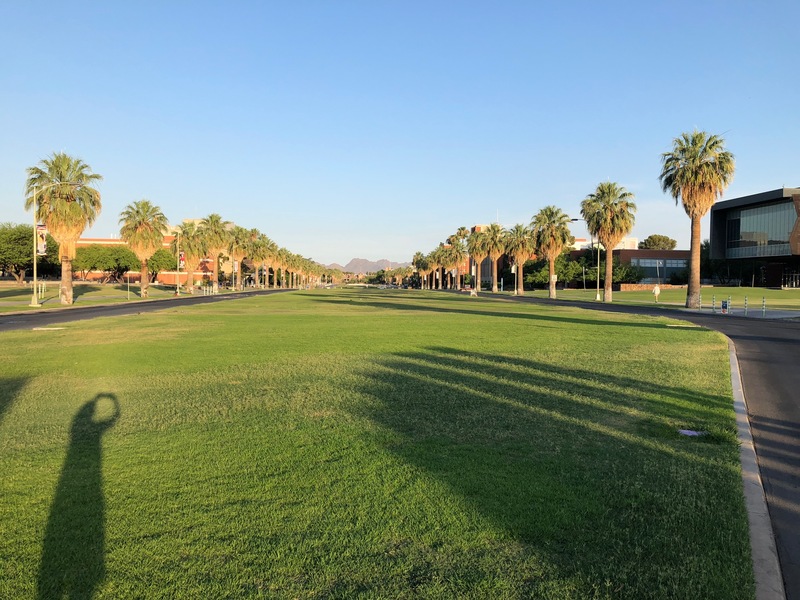 On my walk to the University of Arizona this morning, I re-learned that “synergy is synergy,” as my colleague Paul Ennis says. 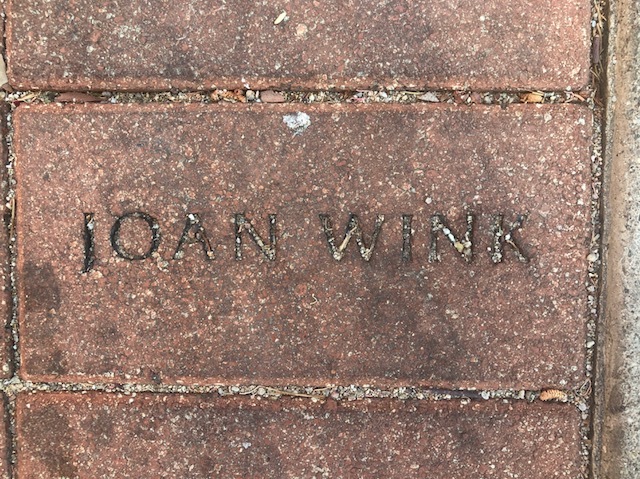 As I was walking to campus, I bumped into Joan Sandin, who is a friend, colleague, and artist I admire greatly. I have written about her previously and will re-post at the bottom. 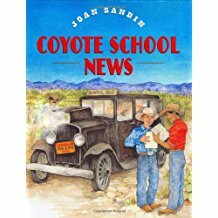 Here is one of Joan Sandin’s creations, Coyote School News, a book honoring another heroine of mine, Sister Bourne. In this book Joan write and illustrates the story of Sister Bourne and her students. The photo below is of Sister Bourne, whose students in rural AZ wrote and published many years ago, The Coyote School News. The students at Atall School in Meade County, South Dakota are now writing and publishing The Prairie School Post, which is inspired by the newsletters which Sister Bourne’s students wrote many years ago. 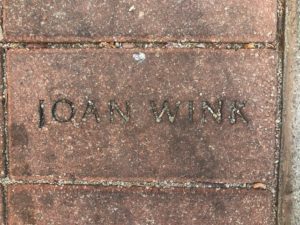 I am posting a WinkWorld where I mentioned The Prairie School Post at the bottom. While I was visiting with Joan Sandin, she told me about her night-blooming cereus, which had bloomed the previous night. On my early morning walks, I am always looking for that glorious night flower, before it fades in the early morning light. 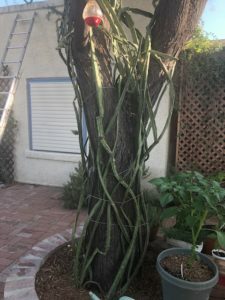 Below here is a photo of Joan’s large night-blooming cactus, which is growing up a tree in their back yard. 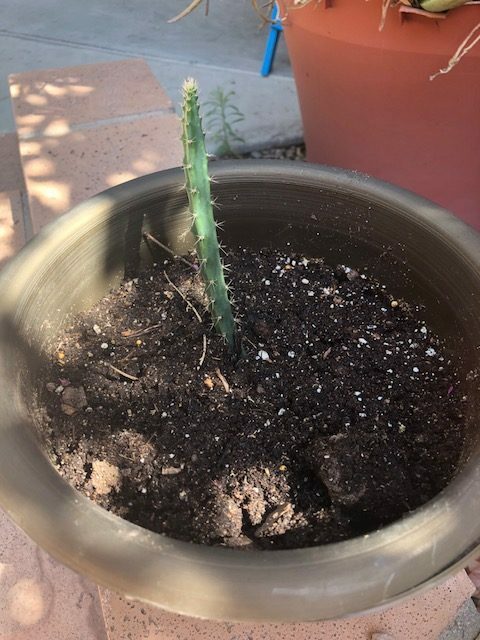 Here is a photo of a cereus shoot, which she gave to me–now, I must live long enough to see it bloom! 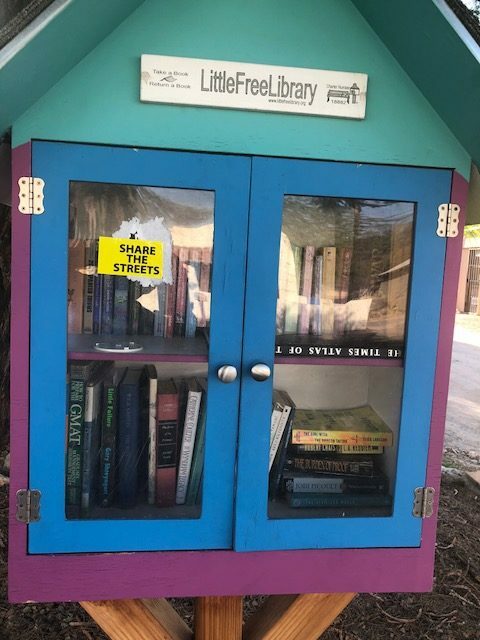 Joan also has a little library in front of her home. While walking in Tucson, I just sort of walk from little library to little library, as there are so many. Prairie People at home, I sure hope you are taking books from my little library. Of course, I had to make a quick stop here. Looks like my treasured brick needs me to bring a cleaning brush on my next trip to my dear desert. 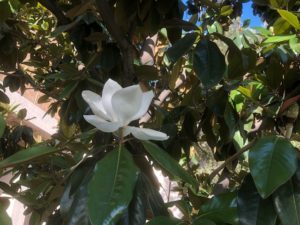 I even found magnolia trees in bloom. I wonder if the UofA would hire me as a dead-header? 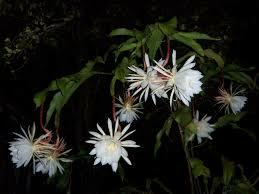 Joan Sandin and night-blooming cereus were previously-mentioned in this earlier WinkWorld post. 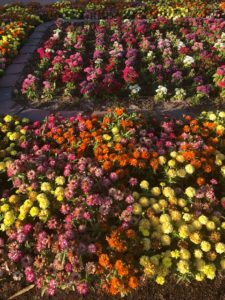 Previously, I have mentioned The Prairie School Post; here is an earlier post. What a beautiful walk in AZ! 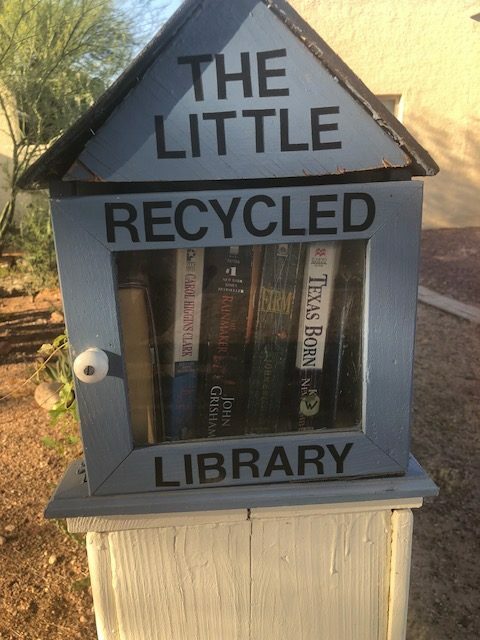 Yes-definitely carry a cleaning brush along with a book or two for your Little Recycled Library. 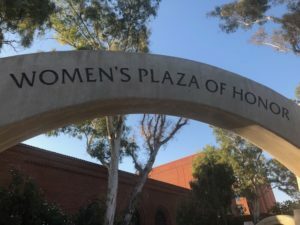 I met Sister Eulaila Bourne in 1976 when I first came to Tucson. I also read her several books. She was part of the curriculum I set up for myself to get to know my new home. She was a marvelous teacher and woman. 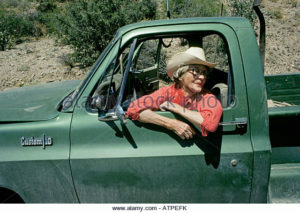 Patty, we moved to AZ also in 1976 and lived out on the Cascabel Ranch on the San Pedro River north of Benson. I fell in love with her books, when I found them at Singing Winds bookstore. I always felt her presence, but I never had the privilege to meet her. A young teacher here in SD also has fallen in love with Sister Bourne and is modeling her school newsletter, Prairie School Post, on Coyote School News. Yes, we are writing about it…some of these will make it into WinkWorld.